BANT today welcomed the new guidelines for NHS England that advises people to lose weight and keep it off for life. But BANT Chair Miguel Toribio-Mateas called on Registered Nutritional Therapists working in their local communities to be a key part of the solution. The week the National Institute for Health and Care Excellence (NICE) revealed it wants overweight people sent to slimming classes with the aim of a 3% weight loss. NICE said even such a small loss – probably of just a few pounds – would cut blood pressure and reduce the risk of type-2 diabetes and some cancers. Miguel said: “Weight gain can cause or exacerbate serious health conditions, so it is great to hear NHS England really taking this issue so seriously and the message of losing weight and keeping it off is crucial. “What we eat has changed more in the last fifty years than in the previous five thousand. Coupled with urbanisation, decreased physical activity and everyday stress, the changes in what we eat in this new environment are compromising our health. “The problem of weight management is like a jigsaw – there are so many pieces that need to be joined together to get a positive outcome. Everyone has very different lifestyles, different health conditions and their bodies work in different ways, so there is not a one size fits all approach. Long term successful weight loss can happen with a change in routines, a change in lifestyle and well thought out plan that suits the individual’s circumstances. Our Registered Nutritional Therapists work with clients to develop personalised nutrition plans to help them lose weight safely and responsibly in this new environment we live in, and adapted to their own personal lifestyles,” he added. The House of Lords Science and Technology Committee recognised back in 2011 that BANT Nutritional Therapists differ from dietitians and public health nutritionists in recognising the extent of genetic variation and individual response to diet and dietary components. BANT Registered Nutritional Therapists stand ready to contribute to the effort to contain the obesity epidemic. For more information on how nutritional therapy can help you to lose weight and keep it off, find your local Registered Nutritional Therapist at www.bant.org.uk. BANT has welcomed Tesco’s decision to remove sweets and confectionary from the checkouts of their stores nationwide. The company has pledged to move confectionary from checkouts after research among customers revealed that nearly two-thirds of shoppers said it would help them make healthier choices. BANT Chair Miguel Toribio-Mateas said: “Sugar plays a huge part in the development of serious health conditions like obesity, diabetes, arthritis and cancer and what children eat at an early age will have an impact on their health into teens and adulthood. Limiting the exposure of these types of foods to children can only be welcomed. “’Pester power’ from the children can just be overwhelming for busy parents who are trying to do the weekly shop. Taking away the sweets and confectionary from right under the noses of the children at the checkout will be a huge relief for parents. “One of the biggest challenges our members face as Registered Nutritional Therapists today is persuading people of the dangers of sugar to their health,” he added. BANT is backing an exciting new project with high street independent pharmacies, aligning Nutritional Therapy with mainstream healthcare services. The Face to Face Wellbeing Scheme, in conjunction with media company JHN and BANT member Babi Chana, is currently being piloted nationwide. The project aims to bring together independent pharmacies and BANT Registered Nutritional Therapists to help meet NHS contractual obligations to provide healthy lifestyle and public health advice to people with diabetes, those who are at risk of heart disease, are overweight or who just need professional support to lead healthier lives. BANT Director Sarah Green said: “Emphasis is on making individual nutritional recommendations accessible in a way that it hasn’t been before. At the heart of this project is a desire to promote the growing recognition that healthcare at its best includes acute pharmaceutical treatment alongside long term diet and lifestyle support. In bringing pharmacists and Registered Nutritional Therapists together we are providing that kind of integration at community level, face to face”. For more information on the scheme contact f2f@bant.org.uk. BANT would like to thank Biocare and Dr Sarah Myhill for their generosity in providing Dr Myhill’s 2012 conference presentation for the use of BANT members. This presentation follows on from the theme from the last mitochondria presentation. It is an essential presentation for anyone dealing with clients with ME, Chronic Fatigue or fibromyalgia. Access this and other free webinars here. Join Dr Sarah Myhill as she presents on a theme that follows on from the last mitochondria webinar. It is an essential presentation for anyone dealing with clients with ME, Chronic fatigue or Fibromyalgia. BANT has developed a fantastic package of benefits for its student members, but being a BANT member in 2014 as the Nutritional Therapy landscape undergoes dramatic changes is not just about tangible benefits. BANT seeks legal opinion for members on the status of the ASA and Trading standards. Download the report here. 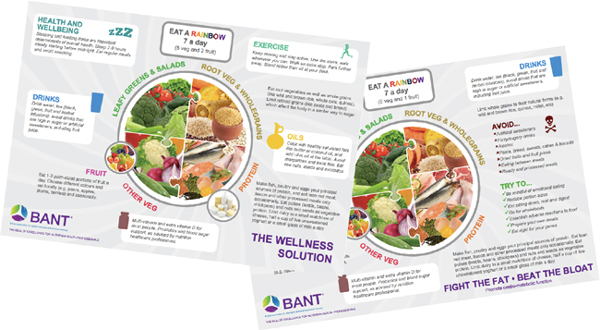 BANT has cut through the detail and developed an at a glance guide to why Nutritional Therapy students should be BANT student members and continue on to become full members once they have qualified. BANT has taken bold steps to create an environment whereby its members are identified as the Gold Standard for Nutritional Therapy and this will continue to evolve as our profession grows in stature. Registration with the CNHC and mandatory CPD are just two measures that are helping to develop a reputation of quality among its practitioners. This will add value to the service we provide, as well as reassuring our clients and key players in the NHS. CNHC – why is it so important to our profession moving forward? The CNHC is the only Government recognised regulator for Nutritional Therapy. In the future, non-CNHC registered Nutritional Therapists may not be recognised by the public and the NHS as credible practitioners. The CNHC now has status as an AVR (Accredited Voluntary Register), which is overseen by the Professional Standards Authority (PSA). The PSA is the government body which oversees statutory regulators including the General Medical Council (GMC) and the Health and Care Professions Council (HCPC). Why should I join BANT and the CNHC? They are two different organisations. Simply, the CNHC looks after the wellbeing of the general public and BANT is the professional association representing the needs of Nutritional Therapists. It’s a bit like a Dietician would be a member of the British Dietetic Association (BDA), but also regulated by the Health and Care Professions Council (HCPC) or a GP would be a member of the Royal College of GPs, but regulated by the General Medical Council (GMC). Do you have to be CNHC registered to practise as a Nutritional Therapist? No, you don’t have to be CNHC registered to practise as a Nutritional Therapist. But, from January 2014 you do have to be registered with the CNHC to be a BANT member. Registration with the CNHC offers our profession credibility as we fight to get Nutritional Therapy recognised as a credible healthcare option in the NHS. The NHS currently encourages patients to source CNHC registered practitioners. It is also worth bearing in mind that earning opportunities in Nutritional Therapy are also starting to request CNHC registration from applicants and this is going to continue, for example, the recent opportunity for Nutritional Therapists to work with Nuffield Health. There are many more of these opportunities on their way that BANT is negotiating for its members. BANT Members can now access this month’s online magazine – BANT News. Find out why BANT is calling on members to change their title to Registered Nutritional Therapists, read the insider’s guide to the new website and a fascinating CPD article from BANT member Henrietta Norton on food state nutrients. Access the BANT news here.